Craig Smith is a Partner in the Energy, Environment and Natural Resources Department. 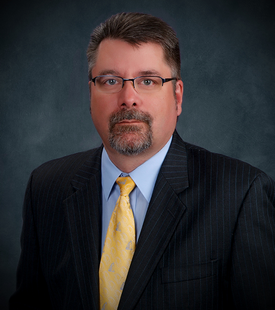 He joined the firm in 2009 after practicing with Fleck, Mather & Strutz, Ltd. in Bismarck, North Dakota, since 1988. He has extensive experience in all areas of oil and gas law, including the preparation of drilling title opinions, division order title opinions, and acquisition title opinions in North Dakota, Montana, and Wyoming as well as representing clients in multiple oil and gas administrative, regulatory and government affairs matters. Mr. Smith is very active in the industry’s regulatory and government affairs relating to federal, state, and legislative issues, as well as county and local matters. He served as Vice-Chairman and Chairman of the North Dakota Petroleum Council from 2008 through 2012 and currently serves on the Council’s Board and Executive Committee. In 2017 he was inducted into the North Dakota Petroleum Council Hall of Fame. In 2018 he was appointed by Governor Doug Burgum as a representative member for North Dakota to the Interstate Oil and Gas Compact Commission (“IOGCC”). Craig has represented the oil and gas industry and the North Dakota Petroleum Council on several legal matters including the preparation of comments to BLM’s Waste Prevention Rule, successful appeal of BLM State Director’s Gas Flaring and Royalty Determination ruling, and co-authored the Council’s amicus curiae brief filed in the North Dakota Supreme Court case Wilkinson v. State of North Dakota and Board of University and School Lands concerning oil and gas mineral ownership under the Missouri River and Lake Sakakawea. Most recently, during the 2017 North Dakota Legislative session, Mr. Smith represented industry in support of the adoption of Senate Bill 2134, leading a comprehensive legislative effort to resolve oil and gas mineral ownership issues underlying the Missouri River and Lake Sakakawea. Mr. Smith has also participated as a speaker at national, state and local energy seminars including the 2001, 2010 and 2013 AAPL Annual Meetings, the 2012 National Association of Division Order Analysts Annual Meeting, and Rocky Mountain Mineral Law Foundation Special Institutes. He has participated as a contributing author from 2001 to present for the American Association of Petroleum Landmen Nationwide Comparison of Laws on Leasing, Exploration, and Production representing the states of North Dakota and Montana. He has also authored and presented at national seminars regarding the recent Missouri River ordinary high water mark oil and gas title litigation and other water issues involving the Bakken play. See Riparian Rights: Ownership of Minerals Under Rivers and Lakes, Craig C. Smith and Brian R. Bjella, 51 RMMFJ 55 (2014); Rivers Run Wild, American Association of Petroleum Landmen Annual Meeting (Washington, D.C. 2013); and Water Schemes Across The Shale Plays – The Bakken Experience, RMMLF Special Institute on Development Issues in Major Shale Plays, (Pittsburgh, PA 2014). Editor, Notes & Comments, Energy Law Journal, 1987-1988. Student Editor, American Bar Association Natural Resources Law Monograph Series, 1987-1988.